innovative young companies to participate in its first 12-week business development program. Climbing welcomes back Kevin Riley as Associate Publisher Climbing Magazine, the longest-running title in the Climbing space (established 1970), is pleased to announce the hiring of Kevin Riley as Associate Publisher. (October 4, 2018) – The Fly Fishing Film Tour is the original and largest annual showcase of fly fishing films, reaching more than 85,000 attendees through more than 160 live events across six countries. Boulder, CO (February 27, 2018) – Active Interest Media (AIM, aimmedia.com) today announced a set of promotions and hires that bring innovative, industry-respected talent to its Outdoor, Healthy Living, and Human Resources teams. Boulder, CO (October 4, 2017) – Catapult Creative Labs (catapultcreativelabs.com), Active Interest Media’s marketing services division, has been named a finalist for the 2017 Folio: Eddie Awards in the Custom Full Issue magazine category for its “Exit 205” project. Active Interest Media Partners with Magazine Publishers of America Campaign: Magazine Media. Better. Believe It. Boulder, Colo. (September 7, 2017)—Active Interest Media (AIM, aimmedia.com) announced today that it has signed a Joint Venture agreement with China-based Summit Sports to launch IDEA Health & Fitness China. IDEA Health & Fitness China will hold its first major health and fitness convention in 2018. Boulder, Colo. (July 12, 2017)—Active Interest Media (AIM, aimmedia.com) announced today that it has acquired the United States Team Roping Championships (USTRC). Based in Stephenville, Texas, USTRC is the world’s leading team roping member organization with over 30,000 members worldwide and one of the largest single discipline equine groups in the nation. The terms of the transaction were not disclosed. Boulder, Colo. (June 30, 2017)—Season Two of Active Interest Media’s (AIM, aimmedia.com) television fishing show, Anglers Journal Television, premiers July 1st. Boulder, CO (May 24, 2017) — SNEWS (snewsnet.com), the outdoor industry’s leading source for trade news, today debuted a new website. With its market-leading interactive content, video, and breaking news, SNEWS now delivers an un-rivaled platform for readers and advertisers alike. Boulder, CO (April 17, 2017) – Active Interest Media (AIM, aimmedia.com) today announced that Jonathan Dorn has been promoted to Chief Innovation Officer. He was formerly Senior Vice President, Digital and Creative Services. Boulder, CO (March 9, 2017) — Active Interest Media (AIM, aimmedia.com) today announced the continued international expansion of Yoga Journal (yogajournal.com) into Spain. With this recent addition, Yoga Journal now has 12 international editions spanning 28 countries. Boulder, CO (March 6, 2017) – Active Interest Media announced the hiring of Matt Samet as editor of Climbing, one of the marquis brands in AIM’s Outdoor Group along with Backpacker and SKI. Retirement Coincides with the Sale of Show Management to Informa PLC. Boulder, CO (March 2, 2017) — Active Interest Media (AIM, aimmedia.com) announced today that company founder Efrem “Skip” Zimbalist III is retiring as CEO of Show Management, though he will continue as non-executive Chairman of the Board of Active Interest Media. His retirement coincides with the recently announced sale of Show Management to Informa PLC. Boulder, CO (March 2, 2017) – Active Interest Media (AIM) announced today the sale of Show Management/YPI to Informa (LSE: INF.L), (“Informa”), the London-based global business intelligence, academic publishing, knowledge and events company. Boulder, CO (February 15, 2017) – Active Interest Media (aimmedia.com) announces the hiring of Alex Aufmann as Senior Marketing Director for BACKPACKER and Climbing Magazines, two marquis brands in AIM’s Outdoor Group. Boulder, CO (February 2, 2017) – Catapult Creative Labs (catapultcreativelabs.com) announced that Kelly Blake has joined as Vice President of Client Services and Strategy. In addition Meredith Powlison has joined as Project Manager. Catapult Creative Labs, Active Interest Media’s (aimmedia.com) marketing and creative services division, offers a full range of client services including custom content, ad creative, social strategy, video and TV production, lead generation, brand strategy, event activation, research, data services, and more. Boulder, CO (January 9, 2017) – Active Interest Media announced today that Michael Henry has joined the company as Chief Financial Officer.Henry has 20 years of experience in media finance. Prior to joining AIM, Henry served as SVP of Finance and CFO at the Denver Post for over four years, during which time he doubled the company’s EBITDA, reduced operating expenses substantially, and improved company cash flow through subleasing activities. He has years of experience working with private equity, and along with his strong finance skills, he has a proven track record in strategic planning and executing strategies that meet the demands of today’s challenging media world. Boulder CO (January 9, 2017) – Active Interest Media announced the promotion of Andy Hawk to Managing Director of AIM’s Mountain Group. Expanding on his role as Managing Director for Warren Miller Entertainment, Hawk will now oversee AIM’s full portfolio of Mountain Group properties, including SKI magazine, Warren Miller Entertainment and Custom Production and the SIA Snow Show Daily. Boulder, CO (January 4, 2017) – Active Interest Media, Inc. (AIM, www.aimmedia.com) today announced the promotion of Eric Henderson to National Sales Director of its Outdoor Trade Group, which includes SNEWS (www.snewsnet.com), the leading B2B media brand for the outdoor industry, and Outdoor Retailer Daily, the official publication of the industry’s biannual trade show. Henderson had been serving as the group’s New Business Development Director and will continue to oversee Yonder, a social app for outdoor adventurers that AIM has been growing rapidly since acquiring it in June 2016. Boulder, CO (October 24, 2016) — Active Interest Media, Inc. (AIM, www.aimmedia.com) today announced it has acquired IDEA Health & Fitness Association (www.ideafit.com), the world’s leading organization of fitness and wellness professionals. Boulder, CO (September 27, 2016) – Active Interest Media (aimmedia.com) today announced the promotion of Sharon Houghton to Group Publisher for BACKPACKER and Climbing, two marquis brands in AIM’s Outdoor Group. Boulder, CO (September 22, 2016) – Active Interest Media (AIM, aimmedia.com) today announced that Folio: 100 has honored four of its senior staff. Boulder, CO (September 8, 2016) – Active Interest Media (AIM, aimmedia.com) today announced that EQUUS (equusmagazine.com), the country’s leading resource for horse owners, is scheduled to launch in China in January. Boulder, CO (August 15, 2016) – Clean Eating (www.cleaneating.com), today announced it will begin debuting its cover-to-cover redesign starting with its September issue. Boulder, CO (June 27, 2016)—Active Interest Media’s (AIM, aimmedia.com) new television fishing show, “Anglers Journal Television,” (AJTV, www.anglersjournal.com/ajtv) will premier on Sunday, July 3 at 9:30 am EST. Active Interest Media’s Equine Network Wins Big at 2016 AHP Equine Media Awards. The 2016 American Horse Publications Equine Media Awards―which celebrate excellence in equine publishing, both in print and online―were presented at its annual gala dinner on June 18 in Orlando, Florida. Active Interest Media (AIM) has acquired the social media platform Yonder. Launched in 2013, Yonder has quickly become the leading outdoor recreation social app and platform for outdoor enthusiasts. This free mobile iOS and Android app allows you to discover and share your outdoor experiences, adventures and activities with friends and fellow Yonderers. Independent book publisher Globe Pequot (globepequot.com) and Active Interest Media are pleased to announce a new multi-year publishing partnership uniting Globe Pequot’s expertise in creating authoritative and beautifully packaged books with AIM’s impressive connection to an audience of dedicated enthusiast readers. The winners of the inaugural Imagination Awards, recognizing the best work produced by independent magazine media brands, were revealed by the Association of Magazine Media (MPA) in San Francisco on May 12 as part of the IMAG 2016 proceedings. Active Interest Media took home a pair of awards: in the Content category for Backpacker’s National Park Service Centennial, and in the Leadership category for its content marketing unit, recently branded as Catapult Creative Labs. 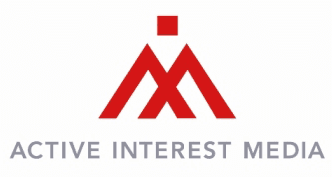 Active Interest Media (AIM) today announced that Collin Stewart has been named Director of Consumer Marketing for AIM’s Healthy Living Group (HLG). In this new position, Stewart will drive the strategic direction of and marketing for AIM Healthy University (AHU), and support marketing for all consumer offerings. The Healthy Living Group contains some of AIM’s premier brands, including Yoga Journal, Vegetarian Times, Oxygen, Clean Eating, and more. The Association of Magazine Media today announced the finalists in the inaugural Imagination Awards to honor the transformational work of independent magazine media (IMAG) companies and brands, including several AIM divisions. The Imagination Awards recognize projects and teams that capture the essence of a brand and demonstrate innovative thinking and imaginative tactics, well-defined business objectives, and successful execution and results. Active Interest Media has announced the creation of an all-new television fishing show to complement its successful launch of Anglers Journal magazine. The new show, titled “Anglers Journal Television,” (AJTV), will be produced in conjunction with Warren Miller Entertainment (skinet.com/warrenmiller/) and AIM Studios of Boulder (aimstudios.tv), Colorado, both subsidiaries of AIM. Anglers Journal Television will air on the Discovery Channel’s Destination America network, which has a nationwide audience of approximately 65 million households. Gaia (gaia.com) and Yoga Journal (yogajournal.com) have named Taylor O’Sullivan and Tarah Stuht as the ambassadors for this summer’s national Live Be Yoga Tour. Jonathan Dorn, SVP of digital and creative services, explains how Active Interest Media is packaging its lead generation and custom content expertise into its newly-launched content lab. Active Interest Media today announced the launch of Catapult Creative Labs, an in-house marketing services agency. Based in Boulder, Colorado, Catapult offers clients a full range of services including custom content, ad creative, social strategy, video and TV production, lead generation, event activation, research, data services, and more. The El Segundo, CA-based enthusiast publisher announced Thursday the launch of its own in-house content marketing unit, Catapult Creative Labs. With plans to provide cients with custom content, video, lead-gen, data services, and more, AIM says Catapult—which will operate out of Boulder, CO—debuts with several clients already signed from the markets in which its audiences live. The company publishes over fifty titles—from Angler’s Journal and Backpacker to Vegetarian Times and Yoga Journal—broken down across six main markets.